Smoothie Diet The Smoothies Reacipe Book for a Healthy Smoothie Diet, Including Smoothies for Weight Loss and Optimum Health You've heard it all -- there are thousands of diets out there, some of them good, some of them bad, some of them downright insane. The most important thing however is finding a diet that works for you, and one that does not cause any health issues. The last thing you want to do is starve yourself, but how do you diet without feeling hungry? Our biggest problem is finding a diet that will fill us up and help us to avoid the temptation of fried chicken, among other things. Enter smoothie diets. There are plenty of different smoothie diets out there, all of which are capable of providing you with the nutrients you need to get on with your day. In addition to that, a good smoothie diet meal plan will actually help you to lose all kinds of weight! There are plenty of great recipes, some of which taste like the milkshakes you'd purchase at a restaurant -- only healthier. What do you need to make these smoothies? While there are smoothie makers for sale on the market, you really only need a blender and a little imagination. This is without a doubt the easiest way to lose weight, and you really do not have to sacrifice anything. 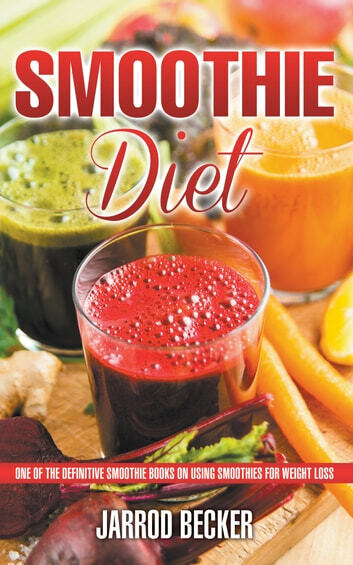 Throughout the course of this book you'll receive three different smoothie categories from the green smoothies diet all the way to the energy smoothies that will give you that boost of energy you need on monday morning. It's time to take control of your life and start using the smoothie diets. It might be a bit of a transition at first, but you will notice the outstanding results before you know it. It's only a matter of time before you are in what might be considered the best shape of your life -- all thanks to the smoothie diet!